Any suggestions for phone dock? Re: Any suggestions for phone dock? Fitted this one,its magnetic so metal plate sticks inside phone case.routed a charging cable from the power outlet in cubby box. I found another option and i am starting to like it. works for me. I have it on driver's side small window. My phone is iphone7+. Had the 'normal' Kenu airframe in my other car, and it worked perfectly. Now however, the air vents are too deep behind the center display, so it won't fit properly. 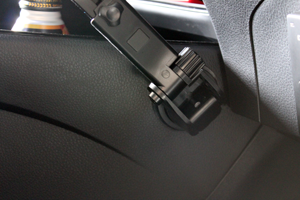 This Airframe pro might work, as there seems to be more space between the holder and the air vent clips? Any thoughts or anybody who has tried this? As I've mentioned before, cup holder mount didn't last long, so I've tried a different solution. As of this month (February 2018), you can only use your handsfree mobile phone in Sweden behind the wheel. Sweden is thus the last EU country to introduce this measure. For a violation, you pay a fine of 160 euros. 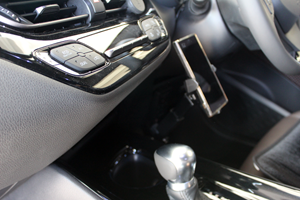 Mobile phones - Hands-free is an adjective describing equipment that can be used without the use of hands or, in a wider sense, equipment which needs only limited use of hands, or for which the controls are positioned so that the hands are able to occupy themselves with another task (such as driving). Phone in pocked and Even one in a bag i the trunk. The law in Denmark says you're not allowed to use/operate handheld cellphones while driving. In the old guide from before 2008 to that specific law(the guide tells you how to interpret the law) - it was interpreted so that you were only allowed to operate a cellphone if it was mounted/in a holder. That meant if you had the phone in your pocket or bag, you weren't allowed to answer it via bluetooth. The guide was changed in 2008 - due to the advancement of technology in that area. Now you're free to have it anyway you want in the car, pocket, bag or whatever, as long as you don't operate the handheld cellphone as handheld. In Danish: Færdselsloven §3 - Trafikanter skal optræde hensynsfuldt og udvise agtpågivenhed, så at der ikke opstår fare eller forvoldes skade eller ulempe for andre, og således at færdslen ikke unødigt hindres eller forstyrres. Der skal også vises hensyn over for dem, der bor eller opholder sig ved vejen. Which basicly translates to - You must exercise caution and not do anything that disturbs your driving - So no texting and no reading texts etc.